I summers sun tanning is what make us conscious. 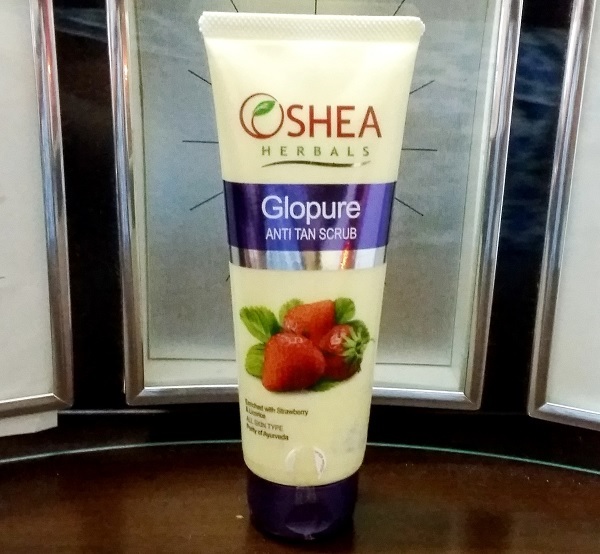 I will review this Oshea Herbals Glopure Anti Tan scrub. Even before starting the review I would like to state that I am very impressed with this scrub since this has exactly what I like my face scrubs to be. So, what exactly I am talking about. 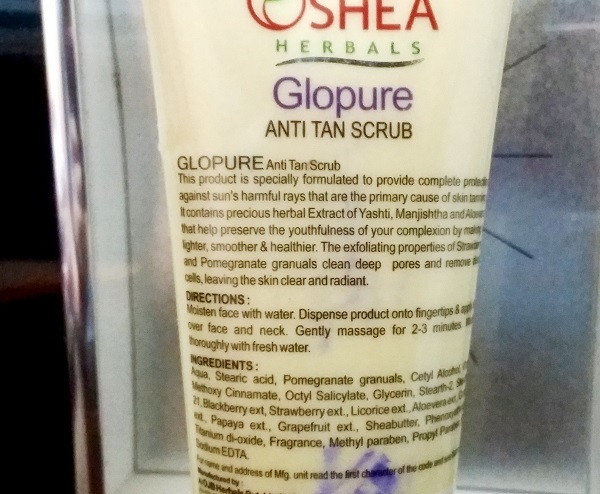 Is this really a good scrub to get away with sun tan? Let’s find out. I like the packaging of this product. It is a regular tube but looks nice. I have been using this for the past two weeks and I use face scrub 2-3 times in a week. so, I have used this around 5-6 times. The fragrance of this scrub is pleasant with mild strawberry fragrance. This is not over powering at all. Like those strong smelling faces scrubs you may have used. The scrub particles are very fine, I mean they are not extremely gritty or chunky to scratch the delicate facial skin. Rather the particles will give a polished skin which is smooth and dewy. This scrub is enriched with Strawberry, licorice and pomegranate granules as an active ingredient this scrub works on skin lightning. It also enhances complexion by removing dark spots and pigmentation. Moreover this also has extracts of aloe vera, carrot and papaya in the scrub helps maintain the moisture and smoothness. I will take around half a teaspoonful of this face scrub. I wet my face using some water. Then massage this all over the face concentrating the area which is oily and needs exfoliation more. Post the application this give a nice feel and after splashing my face with water, I can feel the softness that it gives to the skin. I am really happy with this scrub and have given one such tube to my mum as well. Scrubs are good to keep the skin problems away since the dead skin cells blocks the pores and eventually blemishes erupt. It says that this is an anti tan face scrub and I think this has done some good job in reducing the tanning. The fresher the tan, it I easier to get rid of that. At time I will apply this on the face and leave for 5 minutes like a pack and then scrub this off the face. This also works like a charm. I will recommend this to you if you have oily to combination skin and wish to have a new effective scrub with affordable price.